One of my favorite things about attending the North American International Auto Show in Detroit is seeing the concept vehicles. Although I know that most of them will never be produced, I like to see how elements of their design is incorporated into future vehicles. If you also like to see the future of automobiles, feast your eyes on these 7 cool concept cars from NAIAS 2015. Mercedes-Benz hails this new research vehicle as the future of transportation. With it’s futuristic design and luxurious cabin, this vehicle captivates the imagination. Although it was unveiled at CES, the F 015 Luxury in Motion drew a huge crowd at NAIAS. You can read more about the car in our previous post, Mercedes-Benz Shows Us the Future of Autonomous Cars With the F 015 Luxury In Motion. When you combine British character with Italian craftsmanship, you get the MINI Superlegger Vision, a cool little Speedster that emphasizes performance and style. I must admit that I was surprised to see this car at the auto show because it is a distinct departure from MINI’s current line-up. However, I’m pleased that MINI is taking some risks to vary it’s offerings. 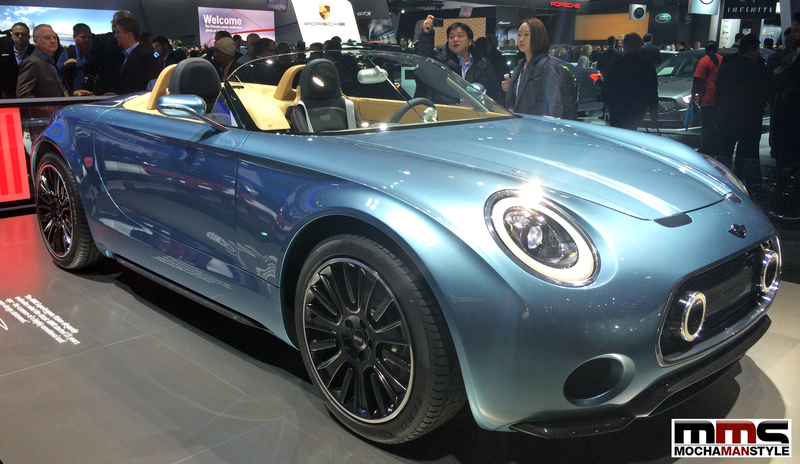 The MINI Superleggera TM Vision cuts a standout silhouette, synthesizing unconventional design elements from MINI (round headlights and hexagonal grill) and Touring Superleggera. The MINI ‘bulldog’ stance pushes the wheels right to the corners, delivering go-kart agility. The famous Superleggera body is crafted by hand, not machine: smooth aluminum sheets mould over a frame of lightweight aluminum tubes, while a ‘Touringline’ runs from the front wheels to the fin-shaped rear. From behind, the striking rear lights form a two-part LED Union Jack, separated by a sparkling chrome bar. It’s a wave to the past, as you roar into the future. The Q60 concept features an all-new exterior styling with flowing lines and sharp curves, while retaining the recognizable Infiniti grille and front fascia. 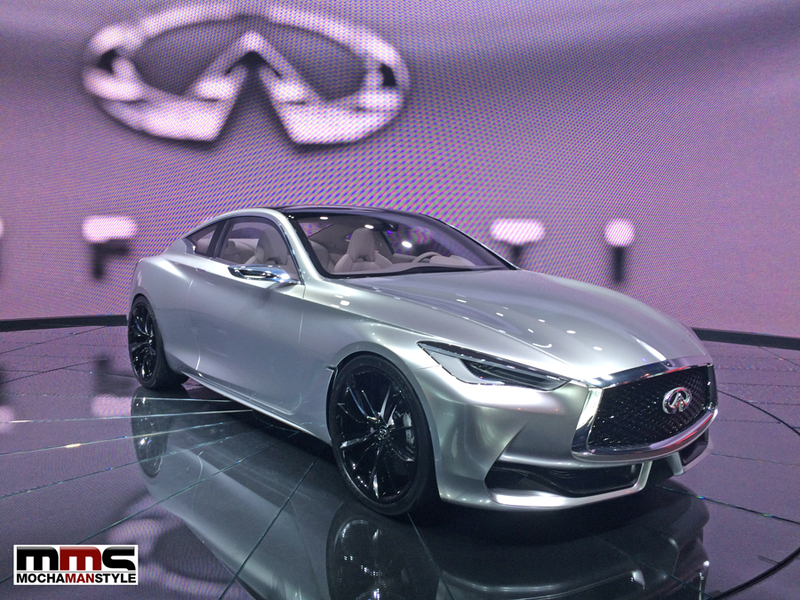 I’m looking forward to seeing how Infiniti’s future vehicles will be influenced by the Q60 concept’s design. This was perhaps my favorite concept car at NAIAS. I return to this vehicle several times during the show. It kept drawing me back like a siren’s song. 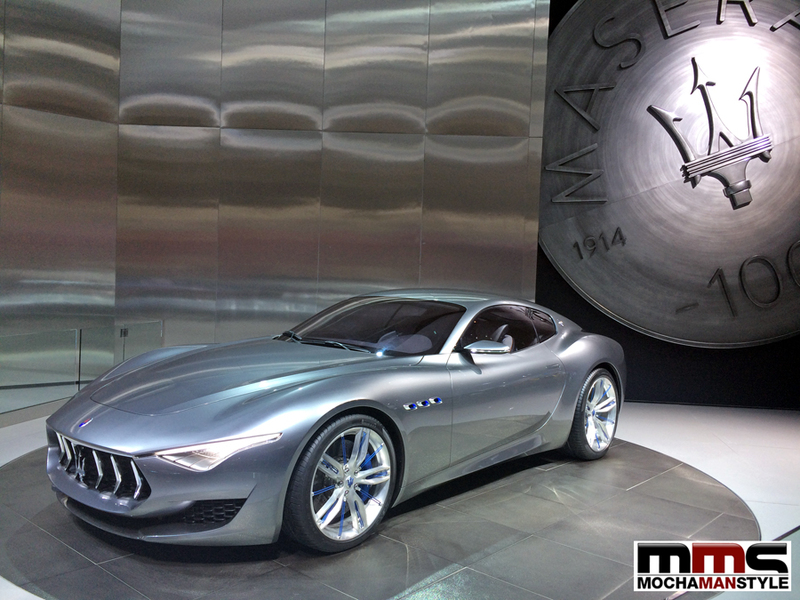 The Maserati Alfieri is the company’s homage to Maserati’s sports heritage and it is the future of Maserati design. One of the most iconic cars of all time inspired the Alfieri designers: the 1954 Maserati A6 GCS by Pininfarina, a thoroughbred racing machine and masterpiece of automotive design. But Alfieri is not a nostalgic and retrospective study. It is one of the most beautiful artistic expressions on wheels. 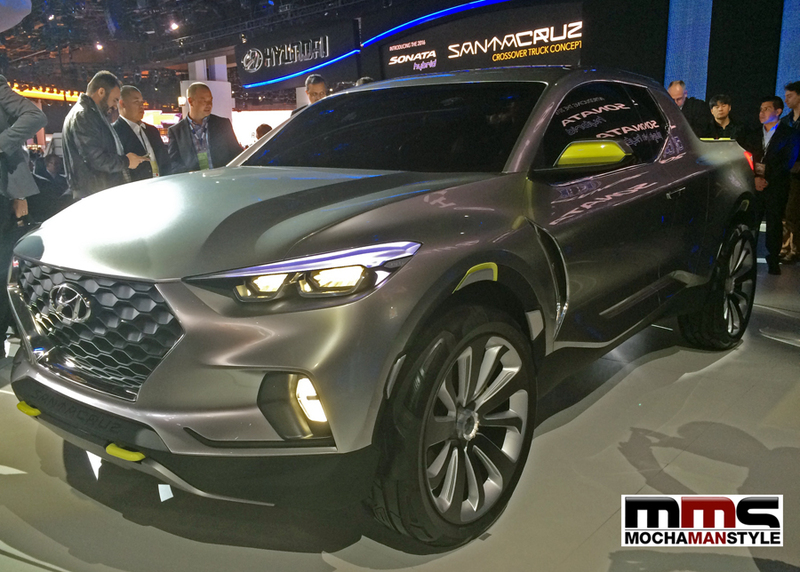 When Hyundai set out to create the Santa Cruz Crossover Truck Concept the design team set out to create something compelling as well as utterly unique. Its design offers comfortable seating for five inside and space in its bed for plenty of cargo or gear. The Santa Cruz Concept has a footprint that is similar to a cross over SUV and is powered by a clean-burning 2-liter turbo diesel engine that delivers 300 lb.-ft. of torque, 190 hp, and achieves an estimated highway fuel economy in the high 30s. 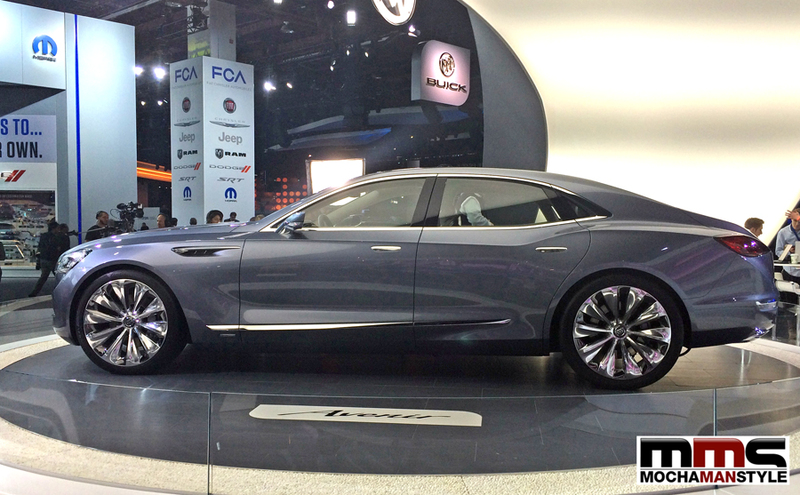 The Avenir is definitely not your dad’s Buick. With the Avenir concept, Buick attempts to counter their stodgy image with an all-new pose that projects the design of Buick into the future. I think they succeeded. This flagship sedan was envisioned to catch your eye and keep the driver and passengers surrounded by Buick’s signature luxury and technology. The Avenir was presented with the 2015 Eyes on Design Award for “Best Concept Vehicle” at NAIAS. 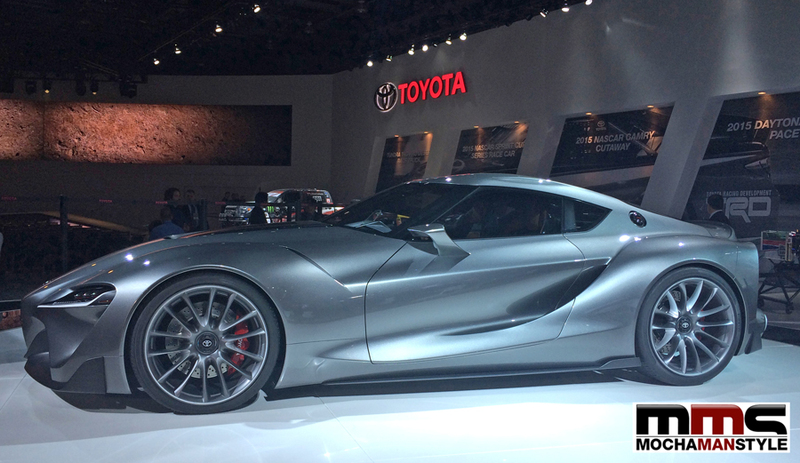 Although the FT-1 debuted at last year’s show, it still drew a lot of attention this year. Toyota keeps dropping hints that they will produce this vehicle in the near future. With the release of the Ford GT and Acura NSX, Toyota really needs to make this vehicle to remain relevant in the high-performance sector.